More than 900 properties have been bought by the company responsible for HS2 almost costing £600m. One of the highest paid properties involved, is Whatcroft Hall which was bought from comedian John bishop for £6.8m. Campaigners opposing the rail project said some homeowners had been treated badly claiming homes were constantly been undervalued by HS2. Tracy Stone, from Mexborough in South Yorkshire, who lives on the Shimmer Estate, had only just moved in and found out that their newly built estate was at risk of demolition to make way for HS2. Tracy recently sold her house to HS2 after being informed that the route would go directly through the newly built estate. It has also been reported that identical houses on the Shimmer Estate have received significantly different amounts of compensation and that valuations for the exact same properties have been significantly different, meaning that people have been treated unfairly by HS2. A spokeswoman for the Department for Transport commented, “HS2 Ltd must work closely and constructively with those impacted by the project – this ensures a sensible balance is struck between fair compensation for affected residents and protecting the public purse. However people are commenting that HS2 is not worth doing, as the first phase of the project from London to Birmingham, will cost just under £56bn and the whole project could cost double that altogether. So it begs the question- will the project be worth the tax payers money? Why do women continue to earn less than men, despite efforts to fix the imbalance? The latest figures on the difference between what companies pay men and women have been revealed. 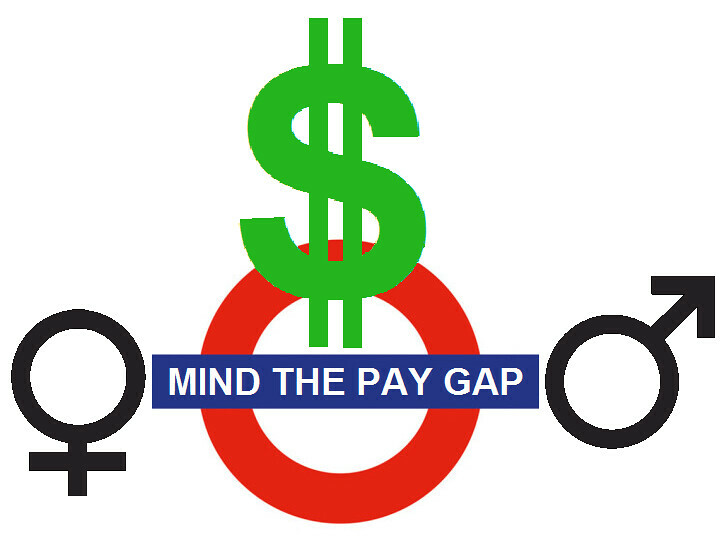 Three-quarters of firms pay men more than women, based on an average data spread collected from 10,000 firms. The gender pay gap is calculated by taking all employees in an organisation and comparing the average pay between men and women. “There are many reasons why it exists,” says Frances O’Grady. “Some are to do with work, such as undervaluing the jobs traditionally done by women, a lack of genuine flexibility for employees at work, and too few good-quality part-time jobs. ” Although, she does say the gap can eventually be ‘fixed’ but will take around 60 years to achieve pay parity between the genders. However, increasing numbers of women are moving into self-employment, partly drawn by the potential of a more flexible approach to work, says Alice Martin, head of work and pay at the New Economics Foundation think tank. With woman on average prioritising flexible work over pay, an increasing number of men are taking the jobs which require full time work but offer higher remunerations as a reward which could be an underlying fact as to why the gender pay gap exists. As part of the Employer Led program offered at South Hunsley Sixth Form, I have spent three days at ICF Financial Services on an insightful and fulfilling work placement. During my time at the Melton branch I have been welcomed into the office spending time with a range of team members across a variety of roles. On Monday I was introduced to the team who explained their role within the firm and what their day to day tasks involved. I then began shadowing a financial services administrator who gave me an overview of the services offered by the business and how her role benefits the team. I learnt all about the importance of the office software – Client Assyst – used to track staff workloads and how this helps the interaction between advisors and administrators on cases. In the afternoon I was given a crash course with one of the Directors, being shown how the lending team help find clients mortgages and decide on the most suitable way of getting the best product for them. I looked at interest only mortgages as well as exploring the differences between fixed-rate and variable which specifically highlighted the importance of reviewing mortgages in order to ensure clients are still getting the best deal. My last part of the day involved shadowing another member of the lending team who taught me how they process payments and input data onto the system as well as some of complexities involved with liaising with different lenders/providers. My second day started back with the Financial Services department following a trainee Paraplanner as they reviewed cases using an investment selection tool and preparing an illustration of the most suitable proposals. I was told about the importance of meeting client preferences when narrowing down different products, accounting for objectives, the capacity to loss threshold and the view of risk and reward. I saw first-hand how cases must be reviewed regularly to ensure actions have completed as they should, as well as learning the differences between active and passive investment management. During this part of the day I also saw how Paraplanners use online tools to illustrate clients tax Wraps. After lunch I spent my afternoon shadowing a second Paraplanner who taught me how the firm efficiently evaluates quotes from a range of insurance firms in order to select the most suitable product for their needs. I then used my new skills to source a variety of mortgage protection plans before producing mock illustrations for clients in different positions. Then I finished the day by adapting a news article on how Brexit is effecting property purchasing (relevant to ICF’s clients) and posted it on the blog, alongside linking it to twitter. On Wednesday my day started with a Financial Advisor, I was taught how to create cash flow forecasts seeing how economic changes can affect clients’ pensions. I was shown how to set up a new forecast inputting data to create a model. Afterwards myself and another team member worked on a real case to make sure the clients would have adequate funds to live on during their retirement, showing where the money would be drawn from and how this would change in the market. Later on I was then given the opportunity to put my learning into action! I was given a case study with information regarding a couple wanting to find a mortgage in order to purchase their first house together. I took this information and inputted it into a Fact Find that could then be used to quickly find the relevant data later on. Starting with the lending team I inputted the client information into the software I was shown on Monday. This included contact information, previous properties and their overall financial position; using this tool I could then continue to source a range of products before evaluating the most suitable mortgage option. After finding this I printed a mortgage illustration and went through it with a member of the team who highlighted the most important facts which would be explained to the client. As well as this I learnt about compliance with the FCA. For my last task I moved back to the Financial Services department to source the best mortgage protection policy that would meet the clients needs. I used the Fact Find again to input data on Iress (the online tool that I saw on Tuesday to compare different products) before choosing one provider, printing an illustration and the relevant key facts sheet. Finally, I would like to thank the entire team at ICF-FS for being so welcoming to me during my time with them; I feel like I have benefited from a varied insight into the options available to me if I choose to pursue a career in this sector, all thanks to the plan they organised for me. I have really enjoyed my placement and feel much more confident when heading into future office environments – the experience this time has provided me with is invaluable! It was only 8 months ago, in August, that we shared a story about UK house price growth accelerating and yet now amid the uncertainty of Brexit the Halifax are instead stating that growth will continue to be “subdued”. Halifax, the UK’s biggest mortgage lender said that property prices had fallen by 1.6% in March in comparison to the previous month, despite house prices being 2.6% higher in the first three months of the year compared with the same period in 2018. Halifax has reported that the average price of a home was £233,181. It is thought that a lack of activity from both buyers and sellers within the market has resulted in prices being unlikely to fall sharply. However, the Halifax has reported that all of this means it remains difficult for many potential first-time buyers to raise a deposit. Director of property lender MT finance, Tomer Aboody, said “people have been too busy watching the political shenanigans on television to go out and view houses,” before continuing to say that until it [Brexit] gets sorted few people are going to do anything – meaning there will likely be little change. This week I have spent three days working at ICF financial services office in Melton gaining valuable new information on the financial services industry that will help me massively in my future career endeavours and also gaining key work place skills that will help me later on in my working career. On the Monday morning I was welcomed warmly by all the staff and introduced to the sort of tasks that I would be performing over the next three days. Then I began shadowing an administrator and observed the duties that an administrator carries out on a day to day basis such as checking client details and various other tasks. During this period of shadowing I learnt how to do many different administrative duties such as making copies and scanning documents that helped me assist others throughout the week. After that I worked with the social media team in order to produce a blog entry that would be relevant for the clients of ICF.I then found an article online which I edited and then posted onto the ICF blog. In the afternoon I worked with a mortgage advisor on the Trigold system which gave me a valuable insight into how mortgages work and the various different types of mortgages that are available such as fixed, variable and endowment. I was also shown the process that is undertaken in order to find the best mortgage possible that fits the client’s needs. I then filled in a fact find on an existing client which gave me an insight into the many different factors that are involved when someone is choosing a mortgage. On Tuesday I was shown a pension forecast and looked at cashflow diagrams with a paraplanner. This also educated me on all of the types of pension that people’s money can be invested into and factors that can affect someone’s pension and also how market crashes can affect someone’s pension. Then with the paraplanner we created a hypothetical person and observed how factors such as their monthly income can affect what age they will have to work until if they wanted their pension to last. In the afternoon I inputted a fact find on a new client into a life insurance policy. I found this very interesting as it showed me the sheer number of factors that can contribute to how expensive someone’s life insurance premium will be. On Wednesday I worked with a paraplanner and learnt about protection plans that are put in place on people’s mortgages. I also compared different plans for a specific client and decided which plan was best suited to the needs of the client. I was given an insight into just how important life cover and critical illness cover is for mortgages to ensure that people do not carry over debt for their loved ones to have to deal with once they are gone. I have thoroughly enjoyed my time, over the last three days, that I have spent at ICF financial services and I feel like I have gained vital information that I would need to pursue a career in financial services. Finally, I would like to say a massive thank you to all the staff at ICF for being so kind and helpful towards me.